Despite all of the advances in the fitness industry, walking or running on the treadmill remains one of the most popular fitness activities on the planet. It is especially popular among home gym users. With it being one of the most costly additions to a home gym set up, it’s important that you make the right buying decision. 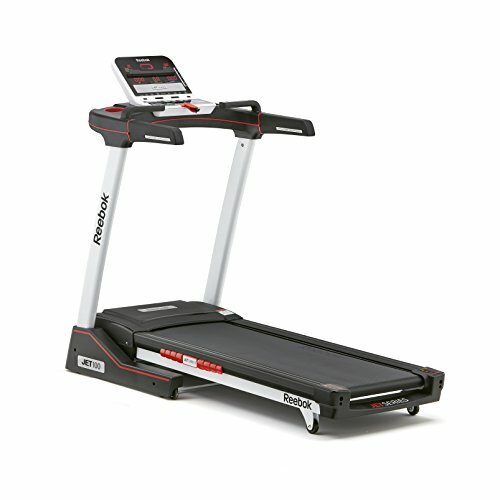 A very popular mid-priced home treadmill is the NordicTrack C700. In this article, we’ll provide an in depth review of the C700 to determine whether it belongs in your home gym. We’ll also compare it with 3 popular alternative treadmill models. The NordicTrack C700 is a mid-range treadmill which provides you with a lot of workout programs, an auto incline function up to 10 degrees, and dual custom cushioning. However, it is limited by its maximum speed of just 10 miles per hour and limited stride length. Therefore, this treadmill is best suited for walkers or those who are after a jogging to medium paced workout. Our preferred treadmill in this price range is the ProForm Performance 600i, which has a larger running bed and more workout programs. The NordicTrack C700 is a versatile treadmill that provides you with plenty of training options to keep you motivated and to stave off boredom. Released in 2016, the C700 provides you with 20 workout programs. Each program is designed by a certified personal trainer and your training options include incline, calories, speed, and manual workouts. A great feature of the console is that it provides you with a multi-window LED display. This allows you to view all of your training stats with a single glance. An integrated calorie burn meter allows you to see how many calories you are burning. 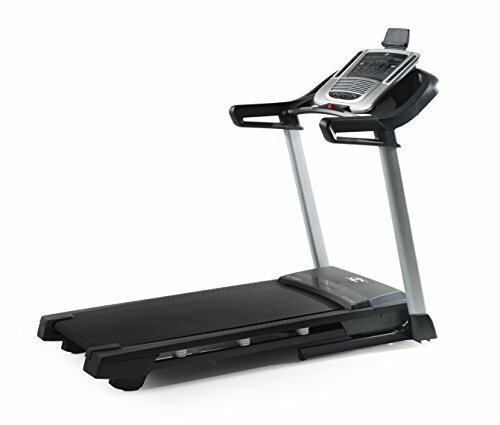 With the NordicTrack C700, you get an auto incline function of between 0 and 10%. This means that you don’t have to get off of the running belt in order to adjust the incline, giving you a huge advantage over manual incline machines. Incline adjustment allows you to instantly increase the intensity of your workout. When you train with Google Maps, iFit Coach automatically adjusts the incline to simulate the terrain. The auto incline can be controlled by console buttons or are built into the pre-set program. Training on an incline will allow you to better work the muscles of your quads, hamstrings, and calves, will burn calories faster, and will add variety to your training. The C700 features adjustable FlexSelect cushioning. A half turn activates the double cushioning isolators to help reduce impact on the knees and ankles. Another half turn of the knob offers a firm, stable surface that feels just like running on the road. NordicTrack treadmills are paired with the iFit app. This provides you with an extremely high-tech training experience. It allows you to plan Google Maps routes anywhere in the world, receive daily workouts that have been designed by certified personal trainers, and record and analyse your long term progress. You can also participate in virtual treadmill races. You can join iFit for a small monthly fee. 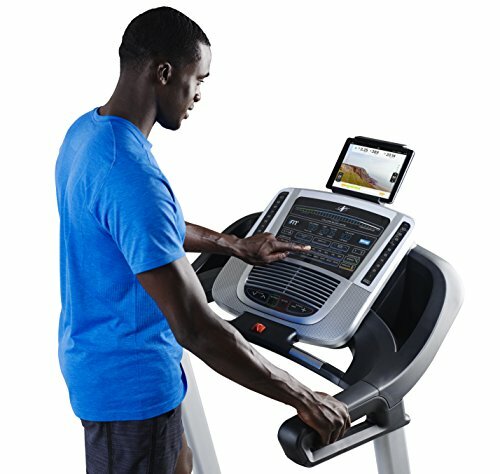 An integrated tablet holder allows you to securely attach your tablet to your treadmill, so that you can watch iFit coached workouts or even enjoy your favorite Netflix movies while working out. The tablet holder sits above the console so that it doesn’t get in the way of your diagnostic readouts. The NordicTrack C700 features a 2.75 HP DurX motor. This is a pretty beefy motor for a treadmill within this price range. The unit is sturdy enough to support up to 300 pounds of user weight. It provides you with a top speed of 10 miles per hour, which is ok, but certainly not challenging for experienced athletes. With the NordicTrack C700, you get a really good pair of speakers. It has an Intermix Acoustics 2.0 sound system. The port on this unit is compatible with most smartphones. The automatic fan feature of the C700 allows you to keep cool as you heat up. The fan will automatically increase its speed as your pace increases. The easy lift assist function of the NordicTrack C700 allows you to easily move the unit around, even if you’re not the strongest person in your household. The lift assist technology that has been built into the treadmill makes it a breeze to move the machine around. This treadmill also features a foldable design, which allows you to compactly store it away when not in use. The C700 comes with a 25 year warranty. Beyond that, you actually get a lifetime warranty on the frame. Parts and labor are covered with a 12-month warranty. In addition, your purchase is protected by a no questions asked 30-day money back guarantee. However, you will be charged a 10% restocking fee for returns. 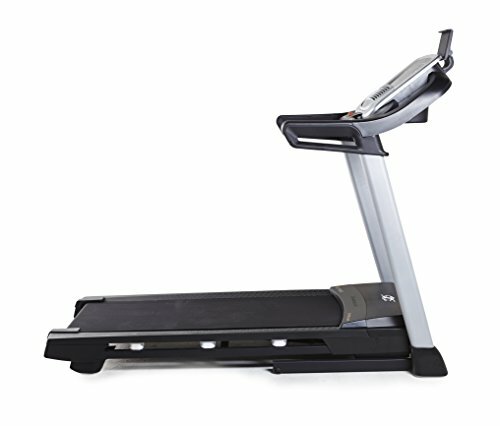 The NordicTrack C700 has a running bed which measures 20 inches wide and 55 inches long. Taller users may find that this length is simply not enough to provide them with a free and natural running movement. In addition, the running mat is only single ply as opposed to the double ply used on some competing models. Finally, the rollers on this unit are quite small. The maximum speed of the C700 is 10 miles per hour. That will be fine for beginner and intermediate trainers, but it will not prove enough of a challenge for experienced runners. It will not allow for high intensity interval training (HIIT) workouts, which have been proven to be very effective for fast fat loss. The Gymax Cardio folding treadmillis considerably less expensive than the NordicTrack C700. However, it matches up on many of the features of the C700. The biggest difference is the running belt. The belt on the Gymax measures 16.5 inches by 50 inches. This is compared to belt dimensions of 20 inches by 55 inches on the C700. You’ll recall that we mentioned the limited running track on the C700 as a con, so this shorter track is even more problematic. However, it will be suitable for people who are not too tall and who are looking for a walking as opposed to a running treadmill. The Gymax features a shock absorbing system that will go a along way to protecting your knees and joints so that you can train in safety. It also has noise reducing absorbers, which are placed in each corner of the running deck and do a good job of keeping the machine quiet. This is great if you are using the treadmill in the same room as a person who is watching TV or reading a book. A large multi-function LCD display on the Gymax makes it easy to get your key training parameters. The backlit multi-display console will provide information about your heart rate, incline, display, speed, distance, time, and calories. It also connects to the G-Fit app, which is pretty much on par with the other apps out there. It will allow you to get some detailed analysis of your training numbers, along with a fitness trainer and health report to help you get to your goals faster. The incline on this machine is manual as opposed to the automatic incline on the NordicTrack C700. However, it does have a greater incline potential, going up to 15 degrees rather than 10 degrees on the C700. The Gymax is also foldable, making it equal with the C700 in terms of compactness. You get a motor that is comparable to the C700, but the running belt length is 5 inches smaller. That makes it a problem for taller people, who will struggle to get a decent running stride. The Reebok Jet 100 treadmill is a pretty impressive looking mid-range unit that provides you with a 2 HP motor. The top speed is around 9.5 miles per hour. That’s not as fast or as powerful as the C700. This may not be enough for serious fitness people, but walkers and those who are after a moderate workout will be able to get what they need from this model. You get 12 different levels of incline on the Jet 100. The adjustment of the incline is automatic by way of a control on the console, meaning that you don’t have to get off the running bed to change it. You also get an impressive 24 built-in workout programs on this treadmill, each one of which has been designed by a certified personal trainer. Some of these programs feature an auto incline component. Each of the workouts is based on speed, interval, or hill training. The running surface on the Reebok Jet 100 measures 51 x 17 inches. This is not as large as you get on the NordickTrack c700, so it may prove problematic for some people. 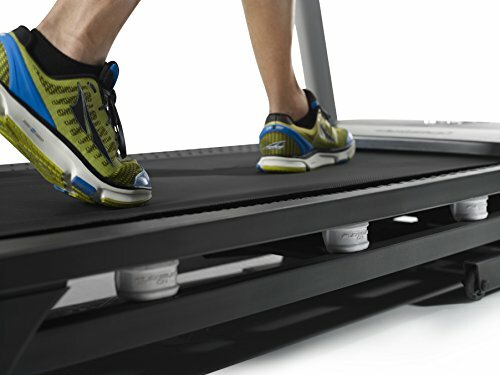 On the underside of the treadmill, you’ll find the air motion technology system in action. This system uses air to cushion the impact of each foot strike on the running bed. The large, stylish console of the Jet 100 allows you to set your speed and incline, listen to music, monitor your heart rate, and select your training program of choice. It also monitors your key workout statistics, including speed, time, distance, calories, pulse, incline, and heart rate. A bright 3.5 inch LCD screen gives you a great view of all of this data while you’re training. Overall, the Reebok Jet 100 treadmill is a tidy, impressive medium priced unit that performs well, but has limited speed and running bed capabilities. The ProForm Performance 600i provides you with an impressive level of workout variety. It’s iFit compatible and provides you with a unique round watts LED displa . The easy fold design of this machine is the best of the four we have reviewed in this article. It combines the ProForm space saver design with EasyLift Assist, making it a breeze for anyone to fold and move this treadmill. Even more impressive is the fact that it doesn’t compromise the size of the running bed in order to achieve its compact folded size. The running bed on this treadmill is 20 inches by 60 inches. This is five inches longer than the NordicTrack C700. That makes it the ideal length for runners of all heights. You get 22 workout programs on this treadmill, including heart rate based programs, interval programs, and weight loss and fat burning programs. The treadmill is also iFit compatible. You need to pay for iFit, but it will give you access to hundreds of additional workout programs. You can also use iFit to connect through Google Maps with the greatest running routes in the world. It also contains advanced fitness tracking properties. The display on the console of the ProForm Performance 600i features a large circular track display, which uses your power algorithm of watts per kilogram to tell you whether you are working out in Endurance, Tempo, or Peak Zone. This allows you to maximize your workouts. 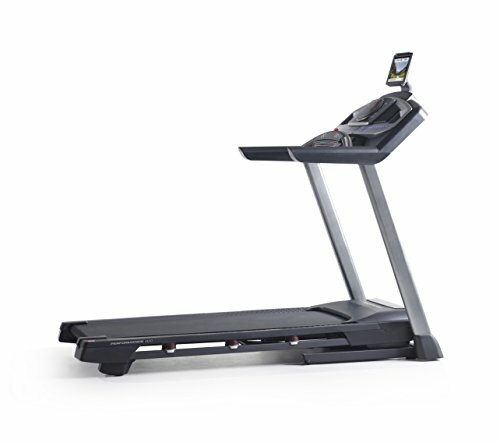 Overall, this is a pretty basic mid-range performer in the treadmill market. However, its greater running bed length and enhanced foldability make this our favorite performer in this price range. 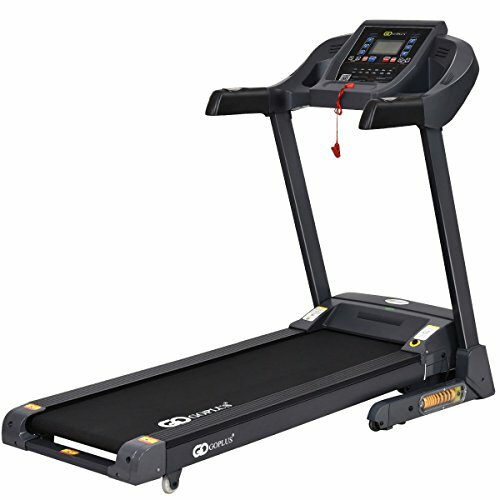 The NordicTrack C700 excels in certain areas, such as underfoot cushioning and auto incline functionality, but is not so good in others, including power output and running bed size. We feel that the ProForm Performance 600i, which offers similar specs but has a larger running bed, unique display and Proshox cushioning, is a better deal. We recommend the ProForm Performance 600i over the NordicTrack c700.